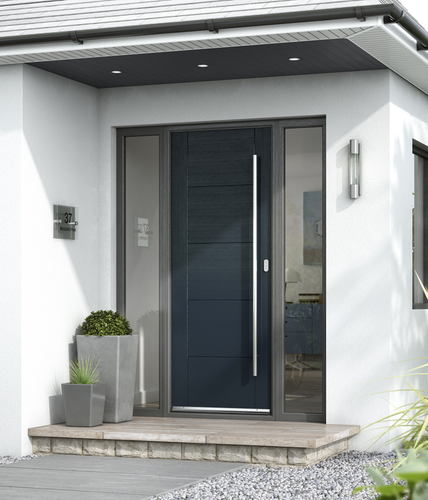 JB Kind External Extreme Doors available from JAS Timber now! New for 2017, JB Kind's pioneering White External Extreme door range is the most exciting new development in exterior door design for decades! Constructed with an exceptionally durable and dimensionally stable top layer of MEDITE® TRICOYA® EXTREME ensures the doors can withstand all weathers – and to illustrate just how confident they are, JB Kind issue every Extreme Extreme Door with a 10 year guarantee! Easily fitted in a day by a competent joiner into an existing or new wooden door frame, the doors are issued factory finished and ready to use. There is no requirement to paint or varnish the face of the door but it is imperative that any planed edges are resealed immediately. Ensuring that the fitting guidelines issued with the doors are followed will make certain the doors perform excep­ti­onally. View the full range of External Extreme Doors and buy online from JAS Timber now! - and please leave a comment!